Home Sweet Home...this is it!! 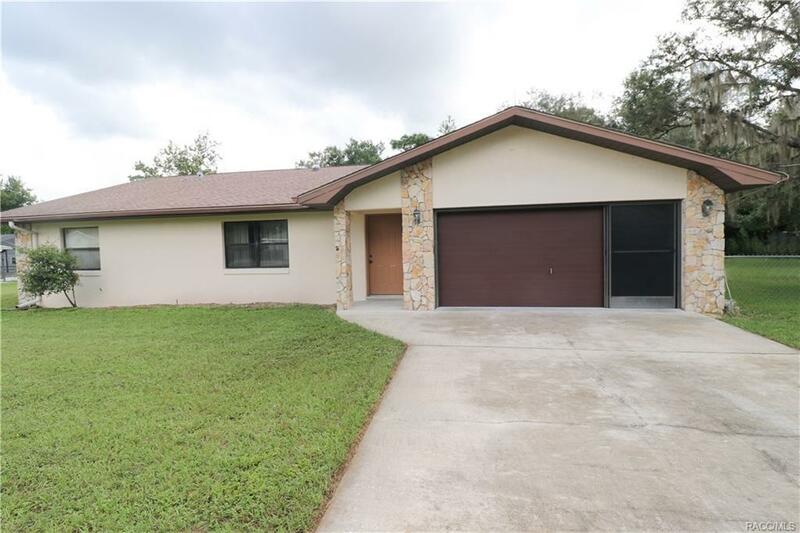 Move in ready home with an inground, caged pool...and a fenced yard for your pets!! Storage building for your tools and mowers! Enclosed lanai off the pool area for extra entertaining space!! What are you waiting for??? Call for an appointment before it is gone!! Ready for a new family to call it home!! With 2 bedrooms and a family room that could be converted to a third bedroom if needed!! Nice sized living and dining area, extra half bath off the screen room for the pool traffic, so no little wet people running in the house!!!! Tile floors, no carpets!! Per sellers: Roof 2004, HVAC 2005, pool re-surfaced 2010, pool cage screen replace 2005, handicap bathroom 2003, new septic 2013, last pumpout 6/2018 (receipts on file). Don't let this one get away! !